AROFLY®* is an epoch-making innovation in Cycling Power Meter. By its world patented brand-new technology and measurement, AROFLY® provides most affordable and user-friendly Power Meter to benefit general cyclists. AROFLY® provides a state of the art power meter which displays overall biking data in real time, for people who enjoy cycling and may have their own AROFLY, at a very affordable price. AROFLY® assists the biker ride right to achieve and complete their goal with perfection. AROFLY® The Ultra Smart Biking Meter, the perfect biking solution. 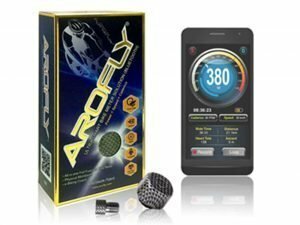 * SPT/Sunpentown is the sole authorized distributor in U.S.A. AROFLY® is a registered trademark of TBS Group Corporation.